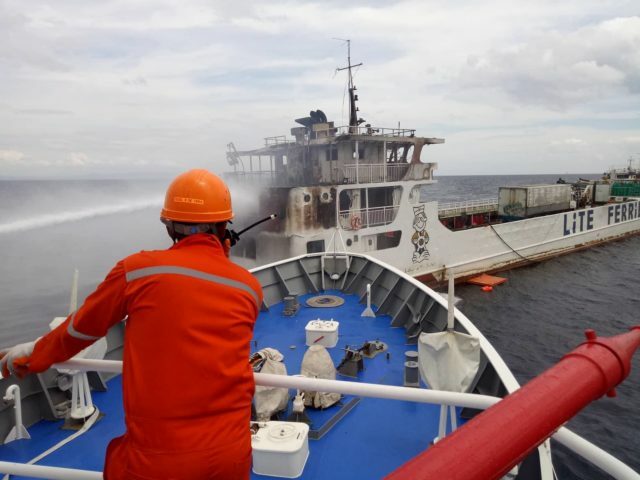 On September 15, the 89 meter long, 3584 dwt cargo vessel Princess Vanessa ran aground in Manila Bay near Tanza, Philippines. 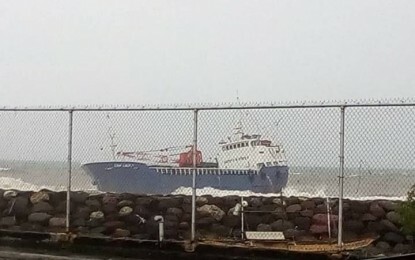 The cargo vessel had been at anchor when strong winds from Typhoon Mangkhut caused the anchor to drag. 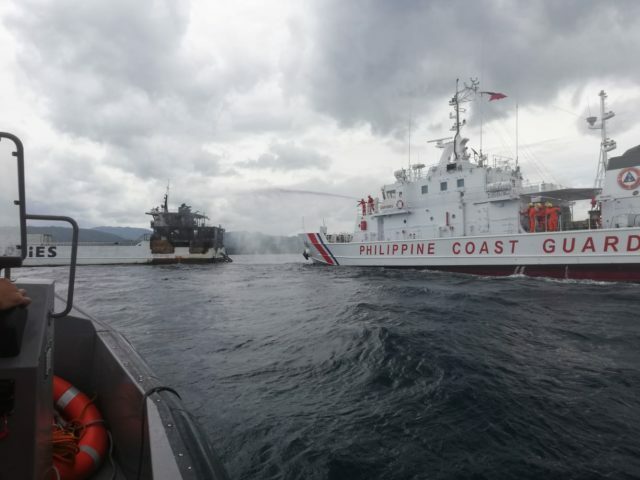 Reports state the cargo vessel went ashore just off the beach at Tanza. No further details were reported. 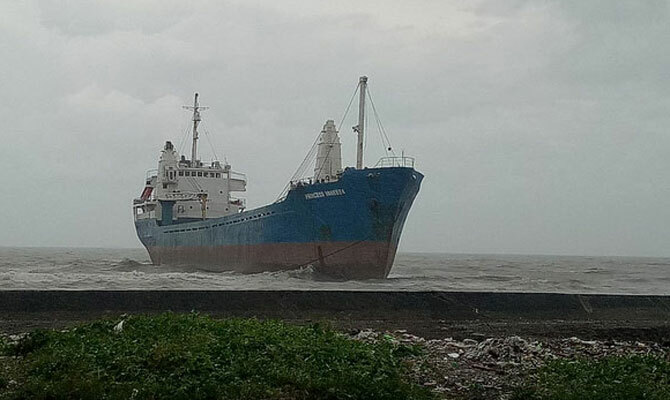 The 55 meter long, 383 gt cargo vessel Star Liberty ran aground at Barangay, Antique, Philippines. 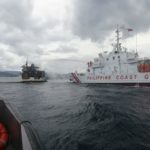 The cargo vessel had been at anchor off Barangay since August 28 with a cargo of 28,000 bags of cement when strong winds from a southwestern monsoon caused the anchors to drag. The crew attempted to restart the vessel’s engine, but the engine wouldn’t start as the Star Liberty was blown ashore. 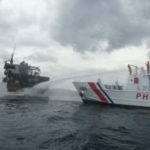 The 22 crew on board were ordered to abandon ship and all were able to reach the shore, but 12 crew sustained minor injuries and were taken to hospital. Local authorities have booms ready to deploy to contain any pollution released. Reports state the Star Liberty could contain up to 6000 litres of diesel fuel on board. 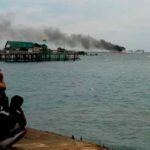 The 64 meter long ro-ro passenger ferry Lite Ferry 28 caught fire just outside of Taloot, Cebu, Philippines. The Lite Ferry 28 had departed from Tagbilaran, Bohol bound for Taloot, Cebu with 92 passengers and 29 crew. 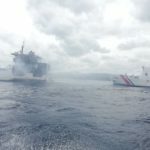 Just 300 meters off Taloot, a fire broke out in the vessel’s engine room. 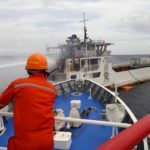 The crew was unable to contain the blaze and the fire continued to spread through the ferry’s superstructure. 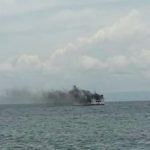 Dense black smoke could be spotted along the shoreline as the stern of the Lite Ferry 28 engulfed in flames. The cargo vessel LCT Miami left the docks at Taloot and reached the disabled Lite Ferry 28. 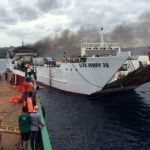 The LCT Miami was able to transfer all the passengers and crew safely off the Lite Ferry 28 before returning back to Taloot. 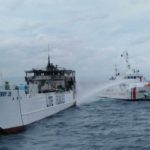 The Philippine Coast Guard also arrived on scene a short time later and assisted in extinguishing the fire. The Lite Ferry 28 was later taken under tow to Taloot. Authorities have launched an investigation into the incident.